New cars sales in the UK are continuing to fall, with the latest industry figures showing the market to be down by almost seven per cent compared to 2017. 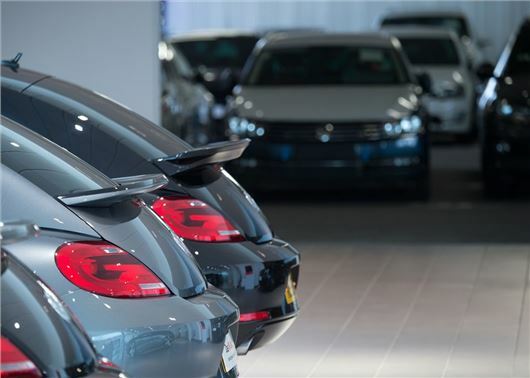 ﻿Year-to-date sales are down by 6.8 per cent, with showrooms reporting almost 80,000 fewer new car sales over the first five months of the year compared to 2017. The demise of diesel continues to be driving factor, with year-to-date sales down by a colossal 30 per cent (156,170 cars). Petrol cars continue to increase (up by 67,501) but can't plug the huge gap left by diesel. Despite a flurry of scrappage schemes and discounts, research by the Society of Motor Manufacturers and Traders show new diesel registrations were down by almost a quarter in May. There were some signs for optimism, however, with significant growth for both petrol and alternatively fuelled vehicles. New petrol sales increased by 23.5 per cent in May with 22,642 more being registered compared to the same month in 2017. Hybrid and electric cars also posted a healthy 36.1 per cent increase (up 2982) but still represent a fraction of all new car sales with a market share of just six per cent. Concerns over the economy and Brexit continue to impact business and fleet confidence, down 16.2 and 7.1 per cent respectively, while demand from private buyers overall in the first five months was 5.7 per cent behind 2017 levels. To date, 1,079,049 new cars have been registered in the UK, a figure that’s notably down on 2017’s 1,158,357. “May’s growth, albeit on the back of large declines last year, is encouraging and suggests the market is now starting to return to a more natural running rate,” said Mike Hawes of the SMMT. “To ensure long-term stability, we need to avoid any further disruption to the market, and this will require sustainable policies that give consumers and businesses the confidence to invest in the new cars that best suit their needs,” he added. I would say one of the reasons for sales being down is that the consumer has no faith in buying a new car, weather that be diesel, petrol or other. the government is not giving us clear indications as what will happen in the future. petrol and diesel prices continue to rise and yet again the British public are being squeezed time and time again. On a personal note, I would like to replace my car before it gets too expensive to drive and maintain. But am hanging off replacing my '62 plate Euro 5 diesel Astra until there is a clearer understanding of the future of cars on British roads. Bought a New Mazda CX-5 Skyactiv Diesel 2.2 automatic in March this year, All the hype about Diesels being bad for the planet is in my eyes a total load of Government Crap. Engines today are light years cleaner than they were 10 years ago. vehicles account for around 5% of global emissions. The other 95% are from Industry but you don't see ANY Government worldwide doing damn all about those merely giving the motorist yet another kicking because we are an easy target for them and those drippy green jerks. Hardly surprising with this daft lot in charge banning diesel and petrol whois gonna want to buy a brand new one its better keeping hold of a diesel thats a few years old than buy a new one and see its value plummet the second the dealer hands you the keys (electric cars are the future eh ) what a load of t*** this will be a disaster there will be record number of cars on the hard shoulder running out of electricity despite what this stupid government might have you to believe and what happens in summer season cant see everyone towing caravans with electric cars....and dont give me all this nonesense about charging points that will be available everywhere they wont there will be a backlog of traffic running out of power the way forward is hybrid ones which flick from petrol (or diesel) to electricity and back to fuel when the batteries run out to recharge it.